To exceed the expectations of our guests, serving delicious food with Southern hospitality! Scottish Food Systems is a people-oriented company operating quality restaurants and dedicated to meeting the needs and expectations of four groups. These are our commitments. TO OUR CUSTOMERS, we will serve you the finest quality food at a fair price in a wholesome environment and with a smile. TO OUR EMPLOYEES, we will provide you a safe and secure work environment that builds self-esteem, a sense of belonging, pride and teamwork. TO OUR COMMUNITIES we serve, we will be responsible corporate citizens by actively supporting local community development efforts. We will build and maintain facilities which enhance the neighborhoods we serve. TO OUR SHAREHOLDERS, we will provide you a return on investment consistent with stated objectives, while maintaining a reputation for honesty and professionalism. 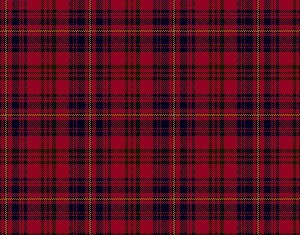 HISTORY OF SCOTTISH FOOD SYSTEMS, INC.
A heritage of success defines Scottish Food Systems, a restaurant management company operating in North and South Carolina. To further define this success one must begin by looking back. The journey began in Laurel Hill, NC with the excellent practices and management skills of our parent company, Z.V. Pate. The foundation of Scottish Food Systems can be traced back to 1964 when Z.V. Pate's grandson, Edwin Pate, Jr., signed a franchise contract with Colonel Harland Sanders and a contract with Hardee's Food Systems. It all began with 3 Kentucky Fried Chicken and 3 Hardee's restaurants that were so successful in the first five years; they more than justified the investment. After the untimely death of Edwin Pate Jr., Charles Wentz, Sr. was recruited to manage these restaurants. One of his first achievements was to form a new management company in Laurinburg, NC. The company name, Scottish Food Systems, and its logo were derived from the rich Scottish influence in Scotland County. During his fourteen years as President, Mr. Wentz established a reputation for Scottish Food Systems as a top franchisee in both KFC and Pizza Inn. During the 70's and 80's the company grew substantially and set sound operational standards that are followed today. During his tenure Wentz recruited Charles Mullins as Vice President of Operations. At the retirement of Charles Wentz in 1983, Charles Mullins became President. Mullins continued the expansion of the company, building successful restaurants and growing a great management team. In his 23 years as President Mr. Mullins not only managed the company but served on many national KFC and Pizza Inn boards and committees, securing the company's reputation as a leader in restaurant management. In 2007, at the retirement of Charles Mullins, Vice President Thomas A. Broome was promoted to President of Scottish Food Systems, Inc. Broome's vast experience of over 27 years in restaurant management prepared him to lead this company on to an exciting future. His dedication to excellence and teamwork in order to achieve company goals has raised the bar for each team member to strive for excellence and is paving the way for expansion. Scottish Food Systems operates a total of 27 Kentucky Fried Chicken, 4 Pizza Inn restaurants. Plans are already in progress for more great restaurants.